Hanzi envelopes every corner of our lives just as air does. It is the embodiment of human’s imagination. From pictograms to oracle bone scripts, which then developed into the distinct characters, Hanzi is not created in a short period of time, but it is gradually transformed into the characters we use today. Characters and languages are alive as they keep changing over time, reflecting the cultural connotations of different regions and ethnicities. 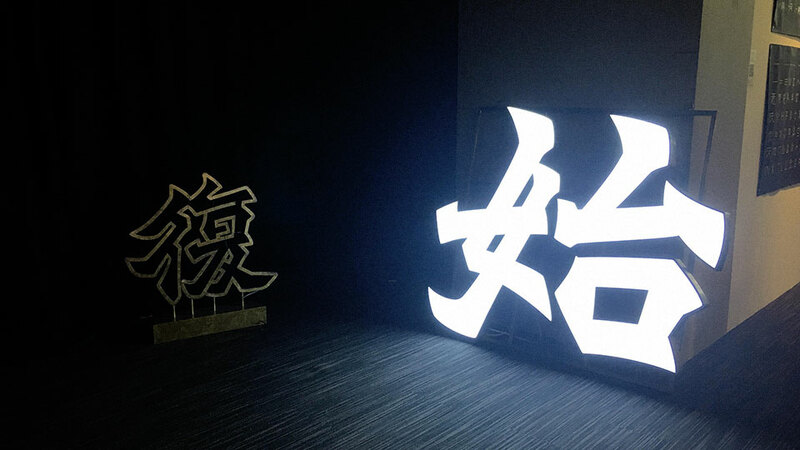 To allow people to re-experience the charm of Hanzi, Benny Au, a local designer, has curated the “Hanzi Exhibition” in PMQ, showcasing the vividness of Hanzi characters through the artwork of various Asian designers. Benny is a typical “Hanzi Fanatic”. 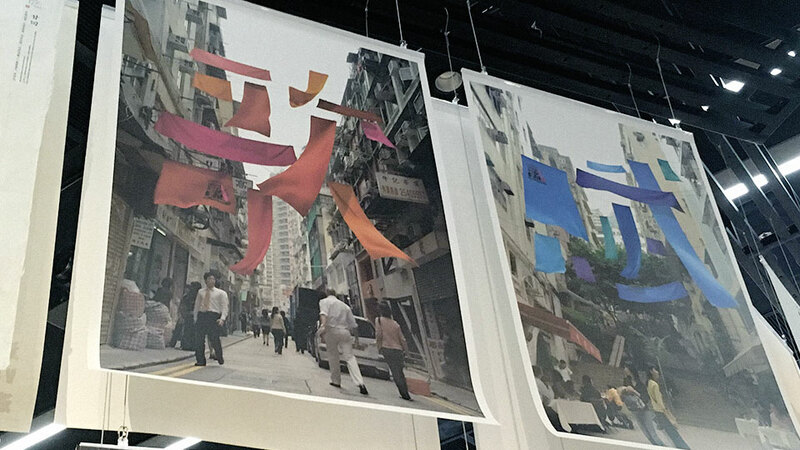 About 7 to 8 years ago, he started a “Hanzi Project”, which he would use a camera to capture the everyday landscape and then associated the photos with Hanzi. 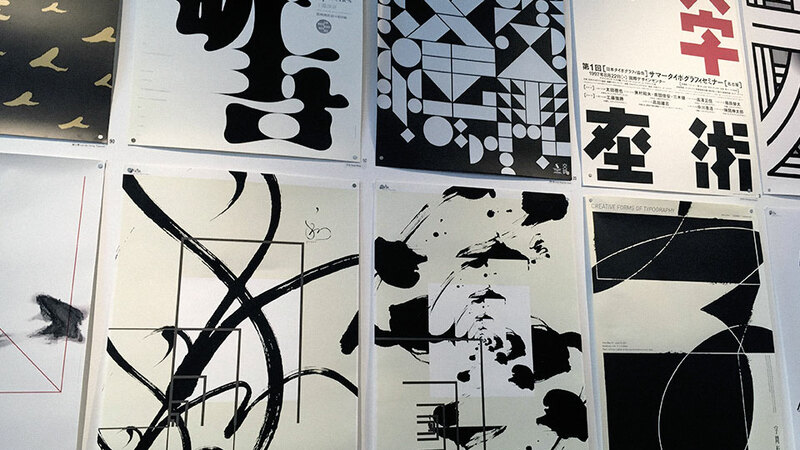 This time, he gathered a pile of Hanzi artwork from more than 100 designers from Hong Kong, mainland China, Taiwan, Macau, Japan and Korea for the exhibition. Taking Hanzi as the key art, all the artwork blends graphics and symbols together to subvert people’s normal perceptions on Hanzi. The same Hanzi character can have various interpretations and ways of expression. For instance, “愛人” refers to “couple” and “lover” in Chinese Hanzi, but means “the third party” in a relationship in Japanese Kanji. The phase “怪我” means “blame me” in Chinese, whereas the Japanese meaning is absolutely not equivalent – it means “injury”. Also, “大家” means “everyone” in Chinese, yet it refers to “landlord” in Japanese. In recent years, some Japanese people even use pseudo-Chinese to chat with each other on social media, which has been promoting the development of Hanzi. How many different meanings can be interpreted in one single Hanzi character? What message does each stroke carry? This exhibition is going to tell you more about Hanzi. Hanzi characters are created systematically with six classifications, namely pictographs, ideographic, compound ideographs, phono-semantic compounds, derivative cognates and phonetic loan characters. In the area of graphic design, the usage of Hanzi is relatively more difficult than that of English characters and Japanese hiragana characters. Square-shaped with densely packed strokes, Hanzi characters may have their own limitations, but they also allow us to appreciate the aesthetics of design. “Balance” is considered as the philosophy behind Chinese characters. 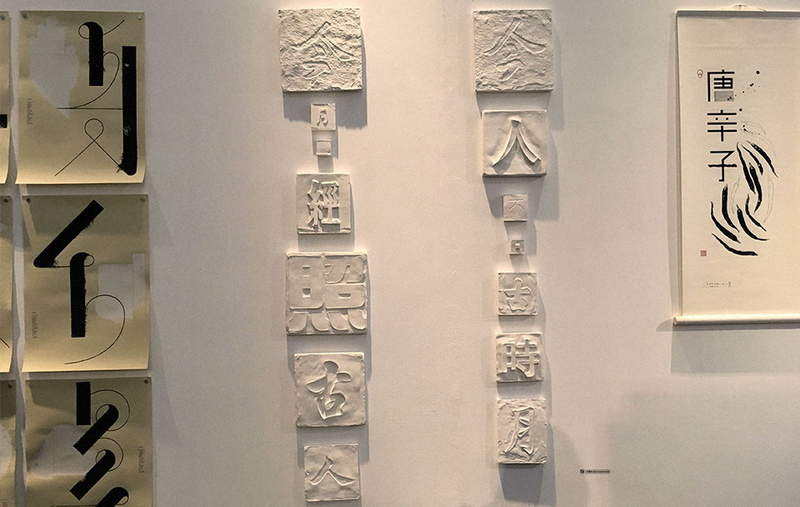 In order to present the artistic conception of Hanzi, we need to strike a balance between black and white, Yin(means “negative”) and Yang(means “positive”) as well as virtual and real. Yet, the artistic conception of Hanzi does not necessarily need to be presented through strokes. There are many creative artwork in this exhibition. 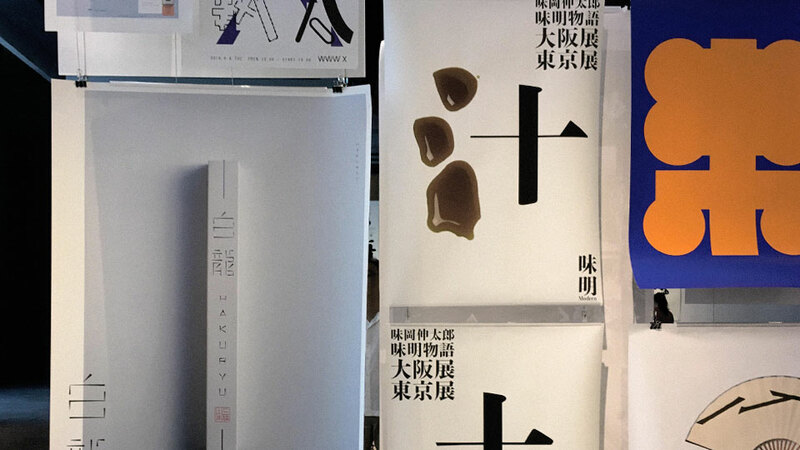 For example, a designer used three drops of soy sauce to represent the “water” radical(氵) in Chinese, which brings the artwork alive. Another designer used the Hanzi characters “目”, “耳”, “鼻” and “口”, meaning “eyes”, “ears”, “nose” and “mouth” in English, to make a funny face of human. While Hongkongers love to dry their clothes and towels on windowsills, a designer made use of those towels to form two different words. 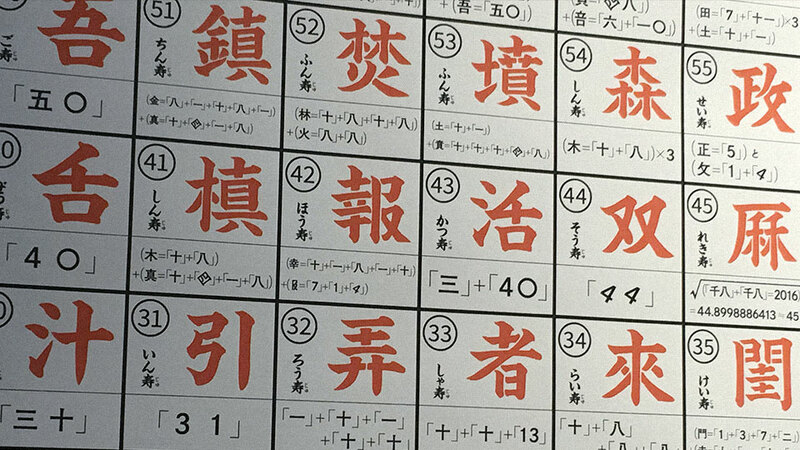 In addition, a Japanese designer even separated Hanzi characters into different numbers, words and symbols. The character “引” is synonymous to “31”; “活” is similar to “三4O”; and “吾” is just as “五O”. 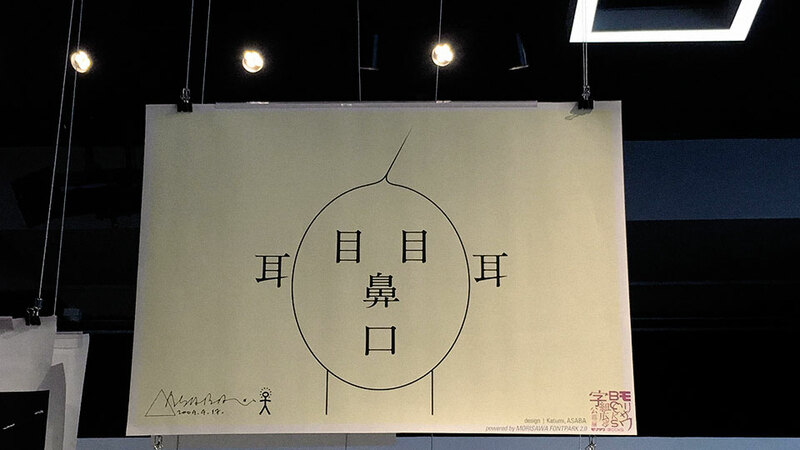 The whimsical ideas of designers have increased the flexibility of Hanzi characters. Hanzi is one of the most precious cultural assets of ours. It is of paramount importance since it has undergone thousands of years of inheritance. With the increasing computerization, there is an epidemic of so-called “character amnesia”. 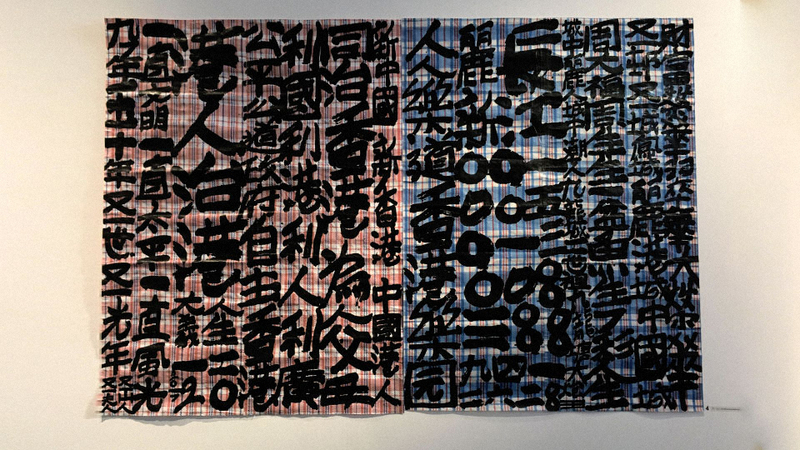 It is time to rethink our relationship with Hanzi, and to explore the new textual landscape.